Getting a divorce give arbitration a try seems to be a worthwhile option to consider for those facing the stress and expense of court after separation in Cheshire. A senior lawyer Sir Hugh Bennett has set out the significant advantages of the arbitration route as he acknowledges the court can be time consuming and those in the system may feel overwhelmed; comparing the use of arbitration to taking the private medical treatment option to using the NHS. Michael Brennan,a family law solicitor at Northwich solicitors Stonehewer Moss comments, “Personally I shrink from the comparison, being wholly in admiration of the NHS but in the legal sphere the use of alternatives to the public court system is that much more stark now legal aid is all but gone. I worked over 20 years offering legal aid and am shocked by the decline in the last few years of a quality service available to limited resources. The court is an admirable service but it is now very centralised and often choked with litigants in person. If you are paying your solicitor hundreds of pounds an hour to attend at court you may not welcome the cost if sat waiting while the court struggles with other cases of self represented individuals. Sir Hugh details in his lecture the new framework for arbitration that should be attractive to many if they can agree the right fee structure with a solicitor to represent you before the arbitrator, such as a fixed fee. The difference from court starts with the fee but court fees are creeping up all the time and your arbitrator will be a seasoned family lawyer; most of us can cut to the heart of a case fairly quickly. The system is described as less stressful from the court and it has the advantage of not feeling that your are laundering your dirty linen in public. 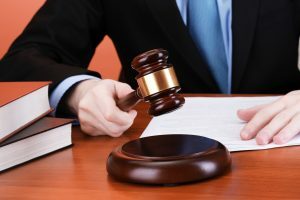 It is confidential.Both sides sign an arbitration agreement and the result is binding subject to the possibility of the court refusing to approve the settlement in a court order if, for example, it appears the arbitration decision is flawed in law. This article was added on Tuesday, April 12th, 2016 at 5:12 pm and is categorised under Cheshire News, Chester News, collaborative law, Divorce, Family finances, Macclesfield News, Runcorn News, St Helens news, Warrington News, Widnes News, Winsford News. Both comments and pings are currently closed. Error: Error validating access token: Session has expired on Saturday, 09-Mar-19 13:12:58 PST. The current time is Thursday, 25-Apr-19 21:46:02 PDT.